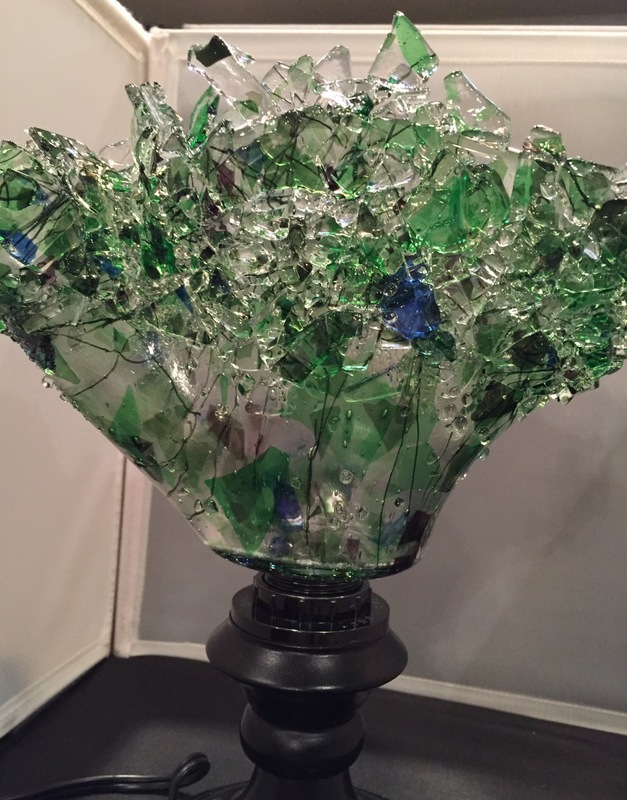 Beautiful Emerald Green confetti glass with a touch of Cobolt Blue and Maroon glass lamp. Approximately 10″ tall. Sells for $145. For more information please call (713) 899-0933!